Good value means we work hard to give you the best possible outcome, as soon as possible. We know that when you come to us, it is because you are in real need. We are honored to be able to help you. For your convenience we have two offices, one in Richmond and one in Ashland. We value our reputation and role within the community. We will always provide you with the high-quality representation you deserve. Service is a key element of what sets our firm apart. The most effective solutions are those that are tailored to your individual circumstances. 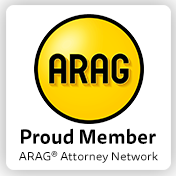 Legal representation is not one-size-fits-all. Knowing this, we work to truly get to know you, your circumstances, and your goals for the future. Only by understanding the complexities of your situation can we provide representation that helps you achieve your goals. Our attorneys bring together over 75 years' combined experience. Those decades of service have allowed us to acquire a degree of skill and knowledge that help us craft strong cases for you. Whether you need assistance with overwhelming debt, divorce and family law matters, personal injury, criminal defense or estate planning issues, our lawyers are ready to provide the highly effective representation you need. Challenging legal situations should not be faced alone. Making the right choices now can help you move forward with your life and save you years of difficulties. To schedule an initial consultation with one of our attorneys, call 804-767-6850 or contact us online. Bowen Ten Cardani has offices in Richmond and Ashland, Virginia, to serve your needs.